Welcome to Wide Open Road Wellness! We want to help you find your potential on your Wide Open Road of life. Our vehicles are Life Coaching and Wellness courses designed to move you in a forward direction to reach the life you always dreamed of. Take some time to look around the site and if you have any question please let us know. We look forward to hearing from you and helping you soon. 5% of all Course fee's go to Charity! Every month Wide Open Road Wellness dontates 5% of all course fee's to charities in Australia and around the world. 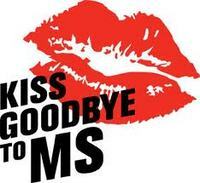 For courses run in August 2013, donations will be made to Multiple Sclerosis Australia. MS Australia provides support for people living with MS, improving treatments and accelerating research to ultimately find a cure for this debilitating disease. Info@WideOpenRoadWellness.com or contact us via our contact form. Copyright © Wide Open Road Wellness Pty Limited 2013.